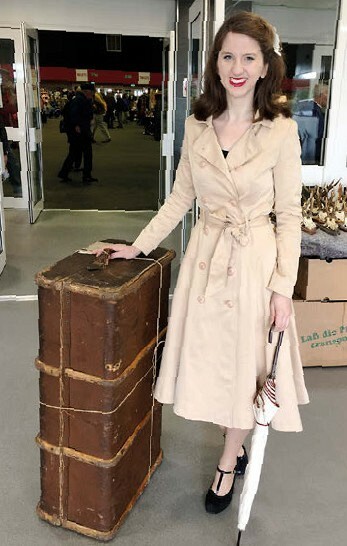 Ready to go is this buyer of a vintage trunk at a recent antiques and vintage fair run by B2B Events in Edinburgh. The event runs on Saturday and Sunday, November 24-25, and she added that B2B is anticipating “in the region of 3000 visitors” during the weekend and, “weather permitting, we can have as many as 3500”. B2B Events held its first fair at the Royal Highland Centre at Ingliston in Edinburgh in 2005 and the organiser says this is the largest antiques event in Scotland. One of the regular overseas customers flies into Edinburgh Airport with an empty suitcase, fills it at the fair and flies back fully laden.